We offer a full range of automotive repairs and services for all makes and models (Domestic–Asian–European). We are a complete domestic and import repair service center. We offer diagnostic, mechanical, collision, detailing, tires, and towing all in one convenient location. Visit our service department for all of your vehicle needs. We are located on W. Genesee St. in the Downtown Syracuse area. Our service entrance is on W. Willow St. across from the Dinosaur Bar-B-Que. Please plan ahead for snow tire installation and removal. Appointments are appreciated and necessary for our staff to handle the work load. 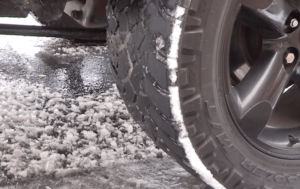 Please plan on installing snow tires in mid-to-late October to be prepared for the unpredictable Syracuse weather. Walk-ins will be difficult to accommodate during the busy snow tire season. Thank you! For your convenience vehicles may be dropped off before business hours. Our drop box is located next to our Service Entrance door on the W. Willow St. side of our building. Your keys can be left in an envelope with your name, phone number, and repair information. 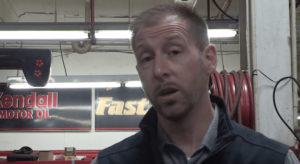 Walt’s Automotive Service Employs Professionals Certified by ASE. Read reviews for Walt’s Automotive Service on Angie’s List.